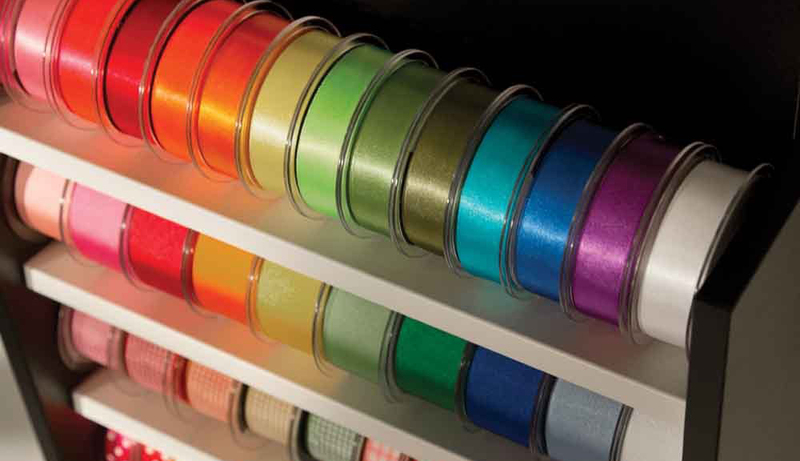 In this section of the shop we have listed all our Ribbon Stands, Hook and Loop tapes and accessories such as favour boxes and stick on craft gems, glues, glitters and many more items that don't quite pigeon hole in to any of our ribbon categories. These are all products that we have been asked for by a large number of customers over the years and as a result have decided to start to offer. We hope that you like them and find them of help. If you can't find the product that you are looking for here then please feel free to call us at anytime on 01691 780416 and we will be only to pleased to help in any way that we can.